Nothing except the sound of cracking ice breaks the serenity of Baikal at the beginning of spring. In our Close-Up series, RT takes you to the planet’s deepest lake, renowned worldwide for its outstanding natural beauty. Even though it’s located in the Siberian Republic of Buryatia some 5,000 kilometres from Moscow, the region where Baikal lies is becoming a popular getaway for people from the big cities, and its coastline is getting noisier. 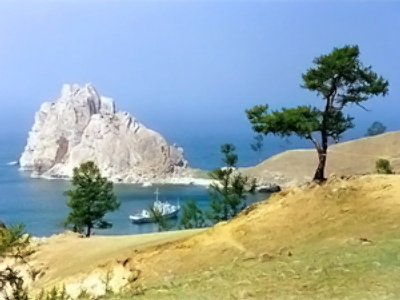 Baikal is still far from being a tourist hub in Buryatia, but it is now being promoted as such. “For us there’s no better place to get away from the city rush. The air is so fresh, it’s always sunny, you have all sorts of sporting activities available here,” says holidaymaker Evgeny Sorokin. Something that’s not to be missed on Baikal is ice fishing. You hardly ever catch a sturgeon now but, with patience, you can count on some of notorious Baikal omuls, the trout-like freshwater fish that are found nowhere else in the world. Locals have a special way of cooking them, and they offer the delicacy at every resort. “It’s easy. You just pull an omul onto a wooden stick, salt it and grill it,” explains Aleksandr Yarko, Baikal resort manager. Indigenous people have been doing it for hundreds of years and their customs are now becoming one of Baikal’s biggest assets. For tourists, fishing is part of the entertainment and for those who live on Baikal’s shores it’s the main of source of income. “It’s our life. The fish feed us, dress us and provide education for our children. There’s nothing else but fishing here,” says fisherman Georgy Kravtsov. Anglers earn about $300 a month and many believe the development of tourism will provide more jobs. The main catches are perch, pike, carp and, of course, omul. But those working at the local fish factory say the catch is getting smaller every year because of the Irkutsk hydroelectric plant which constantly changes the level of water in Baikal.